Educating children with a homeschool planner is a real option and every day gains more followers in the world. 12 years ago Birdie and Carlos had their first daughter, Cintia, who was born with cleft lip and palate and other complications that made it necessary to use a feeding tube. Giving special care to the baby was no problem for them, but when Cintia reached the age of entering school, they found themselves in a dilemma. “Either my wife or I went with the girl to school to feed her, or we taught the teachers to do it,” recalls Carlos, now 39 years old. Given the unworkable of the two options, they thought of a third. This way Carlos, who never liked school as a child, and Birdie, who always welcomed the idea of educating their children at home, began to immerse themselves in what is known as homeschooling, a term used to designate a type of alternative education that dispenses with school. Home teaching has always existed since in the past it was the only form of intellectual instruction. 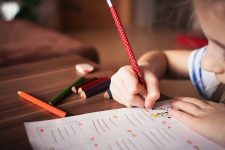 Although the reasons for choosing a homeschool planner are diverse, most of those who resort to it do so because they believe that the school does not correspond to the life project they want for their children. In fact, this movement originated in the United States as a protest against the education system, explains Laura Castellaro, founder of ALAS, a secular educational community that emerged in 2011 with the purpose of offering tools and educational resources to homeschoolers. Homeschooling is lived in different ways in the world. In the United States it is legal – the state of Alaska, for example, offers resident families four options of this educational modality – in Germany, it is prohibited, and in Mexico, there is a legal vacuum in this regard. In general terms, families that have decided to educate children with a homeschool planner have a broader and more comprehensive concept of education, because they have already adopted a new educational paradigm that conceives education as a way of life and does not reduce it to academic or scholastic level.